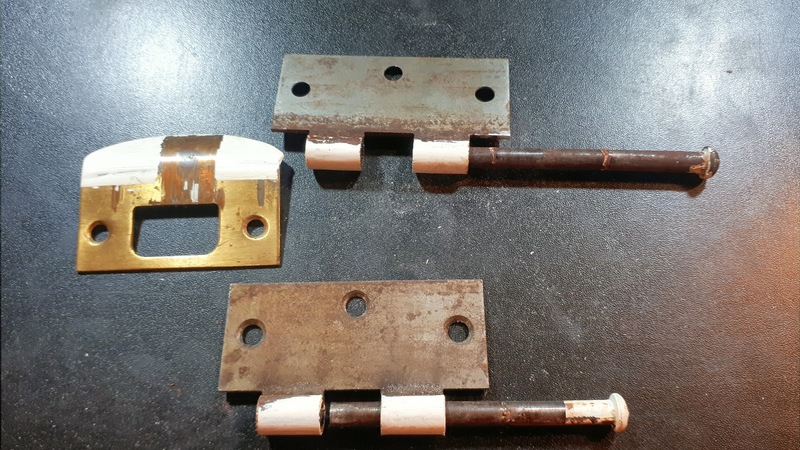 From the "pet peeve" department: Stupid and lazy people that paint over door hinges, latches, handles, switch covers and other hardware. They should be banned from handling any painting supplies or tools. 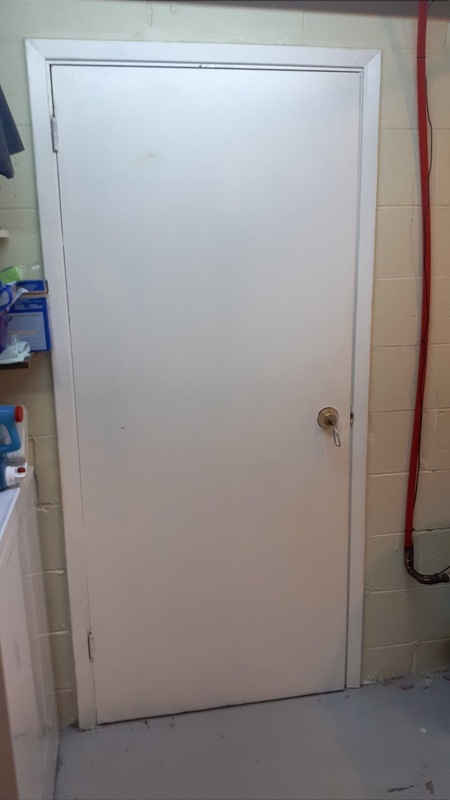 At some point the previous owner (there was only one) decided to improve the look of this basement door by painting it with chalky matte white paint using a rough paintbrush. She painted over any exposed part of the door, including hinges and the doorknob, but excluding any surface that is not visible when the door is closed. She basically just went over the entire front of the door, letting the paint fall, drip and seep where it may. You can see the lack of any attention or workmanship from afar, but it really "shines" when you open the door and see the edges of the door and the door frame with paint that dripped over them. Why would you do such a crappy and half-assed job if your goal was to improve the look (there couldn't have been any other reason because the door functions just fine more than 40 years after it was installed and it suffered no damage)? I'll never understand people like that.